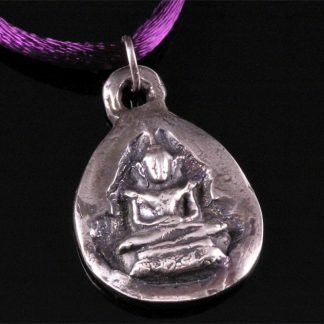 This Meditation Fine Silver Pendant was handcrafted with pure silver (PMC), polished and finished with a dark patina to create contrast. 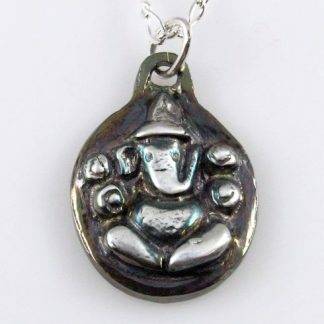 It measures 1 x 1-1/2 inches and weighs 15gm of pure (.999) silver. 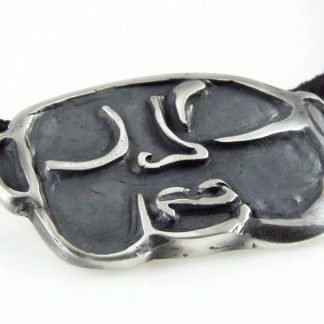 It comes with a free colorful satin cord and a silver clasp for you to wear right away. 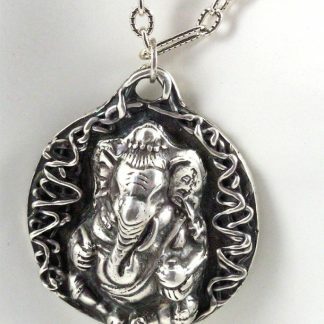 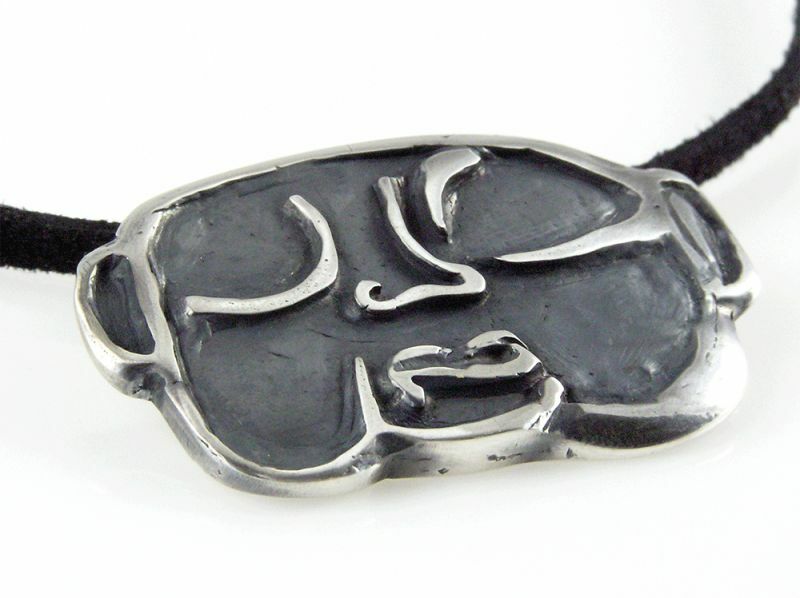 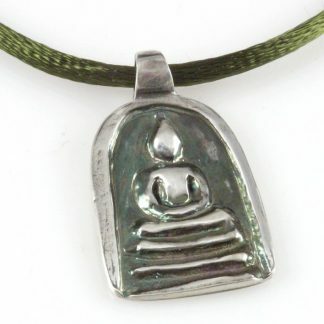 This unique Meditation Fine Silver Pendant will bring you peace and calm.